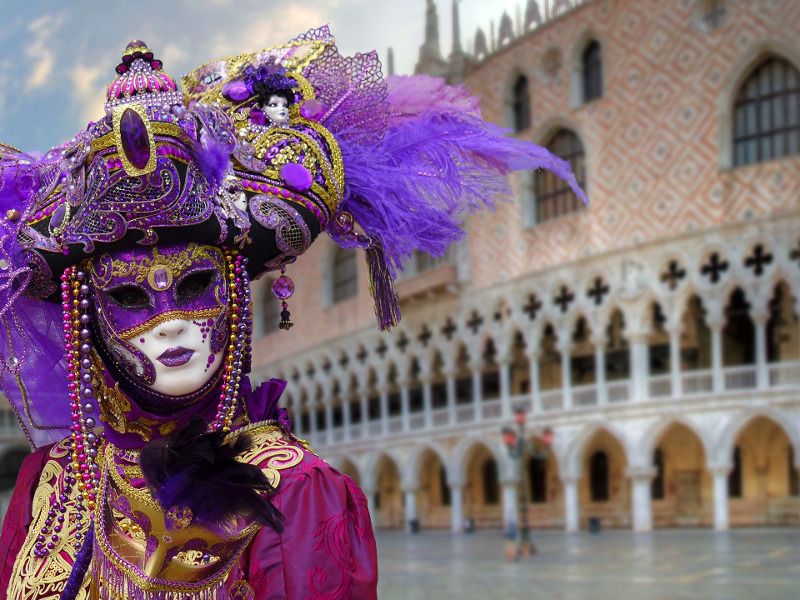 It's never too early to make plans for the 2019 Venice Carnival. Preparations are already underway: the 2019 Venice Carnival will last from February 16th to March 5th. The definitive schedule is still a secret, but we already know the Carnival will start with the traditional “flight of the Angel” in S. Marco square. There will also be mask parades and contests, also in S. Marco square, the cheerful mask regattas on the Canal Grande, and the exclusive parties in the palaces. There is however some big news for this year: our 5x4 offer for the 2019 Venice Carnival. Stay five nights and pay just four, plus free breakfast for the whole stay. It's not a joke! You'd better book now because we only reserve a few rooms for the Venice 2019 Carnival offer. A holiday at the Hotel Cristallo, five nights for the price of four will allow you to enjoy the world's most fascinating carnival in a thoroughly relaxing atmosphere. The Hotel Cristallo lies on the Venice Lido, just ten minutes away from S. Marco by boat, but away from the tourists' joyful din. It's the perfect place to celebrate during the day and relax at night. Book now your holiday in Venice during Carnival, from February 16th to March 5th, 2019. We're looking forward to greet you!